July 1, 2015 – The Ball Aerospace & Technologies Corp. Ralph camera aboard the New Horizons mission will provide the closest images we have ever seen of Pluto when the spacecraft arrives at the dwarf planet on July 14. 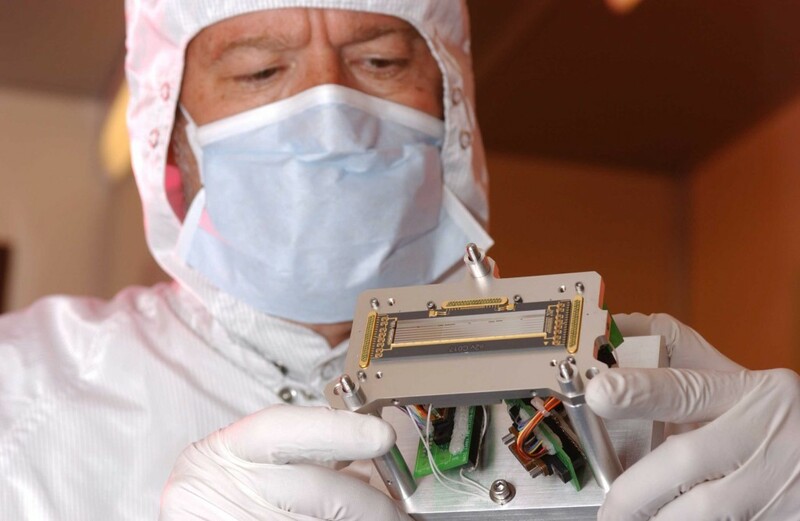 Ralph, the main “eyes” of New Horizon is designed to help scientists map the surface geology of Pluto and its moons, and investigate Kuiper Belt objects. The small but powerful Ralph weighs only 23 pounds and operates on approximately seven watts, the power of a standard night light. The entire telescope operates around 220 K (-60 degrees F) in the cold darkness of the outer solar system. After a journey of more than nine years, Ralph will capture the first ever close-up snapshots of Pluto when New Horizons passes within 7,000 miles of the tiny, icy dwarf planet. One of seven core instruments, Ralph is not an acronym, but instead is named after TV character Ralph Kramden of the 1950s sitcom, “The Honeymooners.” A visible/near multi-spectral and short wavelength infrared spectral imager, Ralph – like the TV character – is paired with Alice, an ultraviolet imaging spectrometer that will help us learn more about Pluto’s atmosphere. 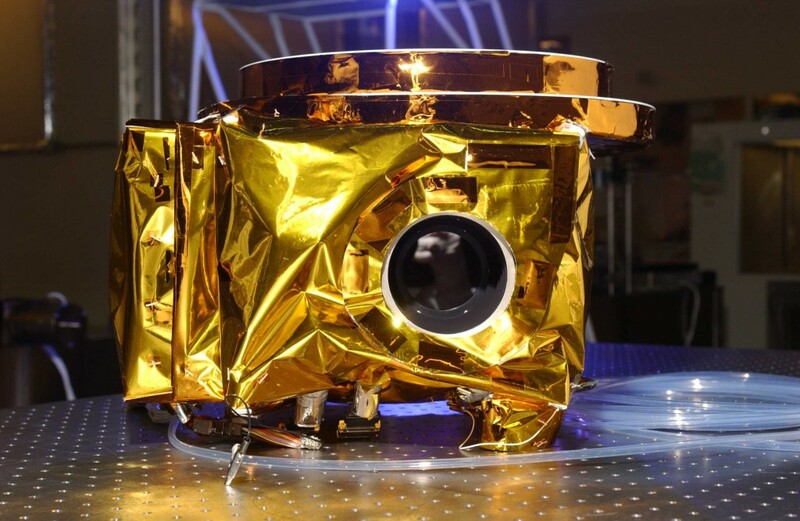 Launched on the New Horizons spacecraft in 2006, Ralph consists of three panchromatic (black-and-white) and four color imagers with telescopic resolution 10 times better than the human eye. Ralph will take images twice daily as New Horizons approaches, flies past and then looks back at the Pluto system. Following its main objective to observe Pluto, New Horizons will continue cruising through space at about 35,000 miles per hour, passing through the Kuiper Belt where some 70,000 objects pepper the Kuiper Belt with potential observation targets. At the time New Horizons was launched, scientists knew about one of Pluto’s moons – Charon. But using Hubble Space Telescope images taken with cameras built by Ball Aerospace, scientists have discovered four more: Nix, Hydra, Styx and Kerberos. The New Horizons spacecraft was built for NASA by Southwest Research Institute and Johns Hopkins Applied Physics Laboratory. The mission’s principal investigator is SwRI’s Alan Stern of Boulder, Colorado.